In January, Ben will be joining other eminent musicians at the Wye Valley Music Festival, which runs from Saturday 13th to Sunday 21st January. The Festival was established back in 2000 to bring world-class chamber music to beautiful and intimate venues up and down the Wye Valley. It has attracted world-class musicians from the outset and is now an important year-round cultural presence in the Wye Valley. Ben will be playing on the Saturday 20th (Beethoven String Quartet in F minor, op. 95 and Mendelssohn Piano Trio in D minor, op. 49). Full details can be found at the Wye Valley Chamber Music website. 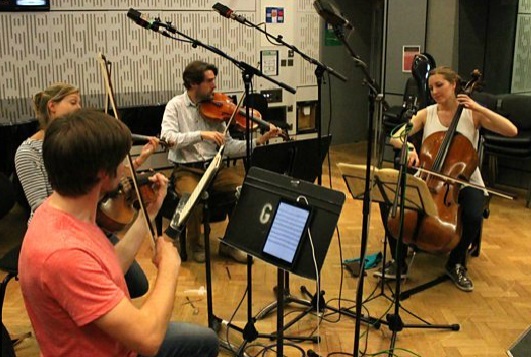 We will be appearing on BBC Radio 3's 'In Tune' this coming Thursday (30th November), at 5pm. We will be talking to Katie Derham about our new Fitkin CD, as well as talking about our upcoming CD Launch Concert at Kings Place on 7th December. The CD itself is now available for pre-order - full details can be found here. We hope you will tune in, and also come along on the 7th! We've been busy in the recording studio over the past year, and after the summer release of our Jonathan Dove CD with Mark Padmore and Charles Owen we have two new CDs coming out over the next few weeks, featuring works from Graham Fitkin and John McCabe. Our Fitkin CD is now available for pre-order here . Featuring premiere recordings of five of the composer’s works for string quartet, this is a complete survey of his quartet writing so far. Composed between 1992 and 2007, this disc includes String, premiered by the Sacconi Quartet in 2007, and also features his quartets Servant, Pawn and Inside. This month also sees the release of our John McCabe CD, featuring his Piano Quintet Woman by the Sea with the composer at the piano. His Horn Quintet is performed with leading horn player David Pyatt, and for his haunting Silver Nocturnes we are joined by renowned baritone Roderick Williams. It is available here. And do join us at Kings Place in December to celebrate the launch of our Fitkin CD. Together with Graham Fitkin himself, we present an evening of the composer’s music, alongside pieces by Philip Glass and Arvo Pärt. This is a rare chance to hear Fitkin at the piano and to immerse yourself in his stunning body of work for string quartet. Programme and ticket details can be found at the Kings Place website. Earlier this summer, we had the great privilege of performing a series of concerts for BBC Radio 3's Big Chamber Weekend as part of Hull UK City of Culture 2017. We performed in three concerts in total, all of which were recorded for later broadcast. We are therefore delighted to announce that all three will be broadcast on R3 next week, starting at 1pm on Wednesday 4th October, with the second and third being broadcast at the same time on Thursday 5th and Friday 6th. As usual, they will all be available on BBC iPlayer for 28 days after they are broadcast. Seldom does a mixed vocal and chamber programme such as this hang together so perfectly... This important release cannot be recommended too highly. Intense and light-filled… clear, focused playing from the Sacconi Quartet. To buy the CD, please follow the link here. This coming weekend (8th and 9th July) we'll be in Hull University's stunning Middleton Hall, where we will perform three concerts exploring key themes of Hull’s past – from the work of William Wilberforce to the effects of the Blitz. We will be joined by the pianist Anna Tilbrook and tenor James Gilchrist, with the whole series of concerts being presented by Petroc Trelawny and broadcast on BBC Radio 3 later in the year. Those of you who can’t make it down to Folkestone for our 10th Festival, will still have the chance to hear and see some of the Festival as we will be LIVE STREAMING the Friday night concert! 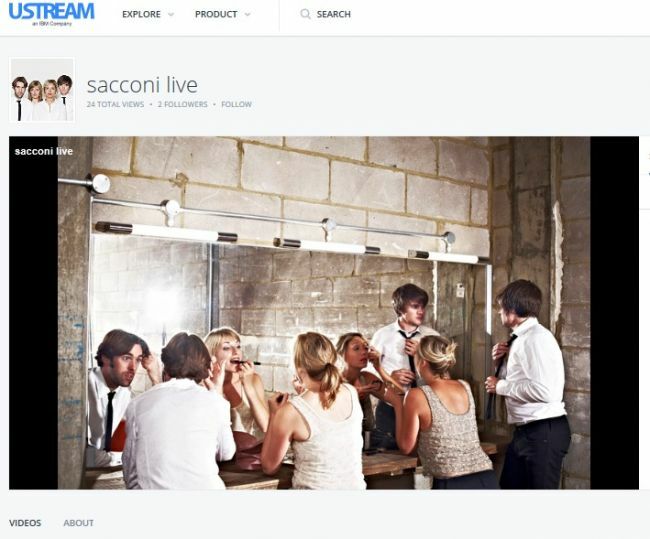 All you have to do is click on this link: Sacconi Live. The concert starts at 7pm on Friday 19th May, and we will be broadcasting the Haydn op.76 no.5, Glass 2nd String Quartet and Schubert Death and the Maiden live. Please note, this is a brand new thing that we’re trying and a bit of an experiment, but fingers crossed no gremlins spoil the party! We popped into Radio 3 yesterday to appear on BBC R3's 'In Tune' programme, hosted by Suzy Klein. We had a great time playing live and chatting to Suzy about our 10th Festival, which is now only one week away, and our forthcoming Dove disc on Signum Records, which will be released on 16th June. The whole programme, including our live pieces is available on BBC iPlayer until 10th June. This June, Hannah and other musicians, including Meghan Cassidy and Rick Wakeman, will be taking part in the Marylebone music Festival, which has revived the music and spirit of the Marylebone Pleasure Gardens, which closed in 1776. This year's Festival, 240 years in the making, and now in its second edition in the 21st century, takes place at the end of June. Audiences will be serenaded by the Queen’s Household Cavalry Mounted Regiment in Manchester Square and treated to a Gala at the Opera at the Landmark Hotel with the Orion Orchestra and singers from English National Opera and the Royal Opera house in the presence of HRH Princess Michael of Kent. Hannah will be playing in 'Secrets & Seduction' Chamber Music Concert at the Wallace Collection, where performances would once have taken place before the Wigmore Hall was built, on 24th June with, amongst others, Tom Poster and Meghan Cassidy, one of the Festival Directors. All proceeds from the MMF festival go to The West London Day Centre. Full details and ticket information can be found here. This Easter, Cara will be joining the pianist and musical Director Libby Burgess at the New Paths Music Festival, held in the beautiful Yorkshire town of Beverley. She will be joined there by other well-known chamber musicians and singers, including the violinist Jamie Campbell and harpsichordist Christopher Bucknall, Cara's husband! The event is spread across four days, from Thursday 20th April to Sunday 23rd, with concerts taking place in venues across Beverley, including in its exquisite 13th-century Minster. On Tuesday 28th March, Hannah will be putting on a charity benefit concert for the Refugee Council in Forest Hill, London. The programme will include works by Pärt, Schoenberg and Elgar. The concert will be held in St Augustine's Church, Forest Hill, tickets £10, with all proceeds going to the Refugee Council. The Sacconi Festival Box Office is Open! To purchase your tickets and Rovers for the Sacconi Festival 2017 you can book over the phone on 01303 760750 or online through the Quarterhouse website (Rovers can only be booked over the phone or in person at the Quarterhouse). Go to the Festival page for programme and venue details. Save the date - Friday 19 - Sunday 21 May, at St Eanswythe’s Church, Folkestone. Our guests include the Wihan Quartet, Alasdair Beatson (piano) and Lavinia Meijer (harpist) with performances including the Mendelssohn and Enescu Octets, Schubert's Trout Quintet and Death and the Maiden, Beethoven's Archduke Trio and the Friends’ choice: Dvorak's Piano Quintet No.2, in A major. Details will be put up on our Festival page soon, so watch this space! The latest Sacconi newsletter is out, and it contains personal reflections on the year from all four of us, where we pick out our own personal highlights from the year. It also contains some exciting news about one of the pieces to be played as the finalé at next year's Festival, which has been selected by a poll of the Sacconi Friends and Patrons. Full details of the selected piece, along with our thoughts on the year, can be found in our Winter newsletter. The archive of our previous newsletters can also be found here. We are also starting to release some of the recordings we made at this year's Festival, with the first three now available to view on our Media page, as well as on our YouTube channel. Watch this space as more are added! Next January, Ben will be joining other eminent musicians at the Wye Valley Music Festival, which runs from Saturday 14th to Sunday 22nd January. The Festival was established back in 2000 to bring world-class chamber music to beautiful and intimate venues up and down the Wye Valley. It has attracted world-class musicians from the outset and is now an important year-round cultural presence in the Wye Valley. Ben will be playing two concerts over the Festival, on the Thursday 19th January (Fauré Piano Quintet in C minor, op. 115) and Saturday 21st (Beethoven Violin Sonata in D, op. 12 no. 1). Full details can be found at the Wye Valley Chamber Music website. Not content with travelling all over the North of England on tour with the rest of the Sacconis, both Hannah and Cara are filling up their already busy lives with other performances around the country. First up, Hannah is performing this Saturday (22nd October) at Kings Place in London for Vivaldi Rocks! with the Swedish Festival O/Modernt Kammarorkester, who will be reinventing the past by exploring relationships between old and new, fusing Vivaldi with the rock music of today. Full details can be found on the Kings Place website. Not to be outdone, Cara is playing two concerts this Autumn with Ensemble Perpetuo, which features the viola skills of her brother, Andrew. They are playing at the Cathedral Concert Society in Ripon on Monday the 14th November and again at The Forge, London on Monday the 28th November. Do come to one if you can! Have a say, in what we play! To celebrate the 10th Sacconi Chamber Music Festival next year, our Sacconi Friends and Patrons will have the opportunity to vote for which piano quintet will end next year's Festival. The wonderful pianist Alasdair Beatson will be joining us next year to perform one of four romantic quintets, but which one is up to our dedicated Friends and Patrons, without whom our Festival simply wouldn’t happen. To become a Friend, and get your vote, click here! Although it has only just been released, our latest recording, Beethoven & Mendelssohn String Quartets, has already picked up a couple of excellent reviews in the Press. First was Fiona Maddocks, awarding the disc 4 stars in The Observer, who writes "The playing is fresh and pliable, each work illuminating the other.". She adds "String quartets stand out for different reasons, from quality of sound... to adventurous repertoire... to versatility, among whom the Sacconi Quartet... are front-runners." Guy Weatherall, writing in September's Classical Music Magazine was similarly enthusiastic, awarding the CD 5 Stars and praising the "Refreshing, committed performances... these young players relish the drama herein.". He singles out the Op. 132 recording, describing it as "...earthy and bold, although the slow movement is rapt and totally unsentimental. It is a new recording and sounds marvellous..."
As part of the launch for our latest CD, 'Beethoven & Mendelssohn String Quartets' we have been talking to Andrew Anderson of International Arts Manager about it and also about our 15th Anniversary. In his article we explore how this has been an opportunity to break boundaries, and discuss some of the recent projects, such as Heartfelt and Beethoven in the Dark, which have provided us with new ways in which to connect to our audiences. Our new Jonathan Dove commission In Damascus has picked up excellent reviews in both the Guardian and the FT, following its London premiere at our Kings Place birthday concert last week. The Guardian awarded the concert five stars, describing it as 'unusual and timely', with libretto that is 'both simple and direct, without any hint of rhetoric or sensation'. Mark Padmore was praised for his 'immaculate artistry', and the Guardian concluded that 'The overall impact of the work and its performance was profound, an unforgettable example of the power of art to convey something terrible through an expression that is paradoxically in itself beautiful'. Following the world premiere of Jonathan Dove’s In Damascus, given by the Sacconis and Mark Padmore in Folkestone on 20th May 2016, the London premiere will be at the quartet’s fifteenth birthday concert at Kings Place on 13th July 2016. Don’t miss the chance to hear this evocative and thought-provoking work in the flesh. The Sacconis and Mark will also perform In Damascus in Aldeburgh on 12th July and then record the piece for Signum Records, to be released in 2017. The Quartet wish wholeheartedly to thank the Michael Cuddigan Trust, the Vernon Ellis Foundation and everyone who supported and contributed to this project, and we look forward to seeing you at Kings Place on 13th July. The Sacconis will be appearing on BBC R3's 'In Tune' programme tomorrow, Tuesday 17th May, with Suzy Klein. We will be discussing our upcoming Festival in Folkestone, and in particular our new commission, 'In Damascus', written for us by Jonathan Dove and sung by Mark Padmore, which receives its World Premiere at Folkestone on Friday 20th May. The programme starts at 4:30, with the Sacconis appearing at 5:30. The programme will subsequently will be available on BBC iPlayer for one month. Please tune in to us tomorrow! We have been out and about in Folkestone visiting St Eanswythe’s Primary School, one of the schools we’ve been to many times and have got to know very well. We love delivering chamber music workshops to the children here and they seemed to enjoy it too! An article about our outreach work will be published in Music Teacher Magazine soon, so watch out for that! We are doing at least seven school workshops in our Festival Outreach Programme this year and have been generously funded by the CAVATINA Chamber Music Trust, Teacher Music Magazine and the Kent Community Foundation’s Overstone Fund. We are all ready and set for the Festival, and very excited about all our guest artists, the exciting programme, and of course the new commission from Jonathan Dove that we will be performing with Mark Padmore on the Friday evening. Plus the Viola Invasion on Sunday afternoon with Roger Chase promises to be a fantastic and unique event! We’re looking forward to welcoming back amazing pianist Charles Owen and chilling out with Mexican guitarist Morgan Szymanski at our late-night concert. Full programme details can be found on our Festival and to book your tickets visit the Quarterhouse website. This Spring, the Sacconis are filling up their already busy lives with some additional musical projects. First up, Robin will be playing down in Cornwall as part of the famous St Endellion Easter Festival. He will be playing Schubert's 'Trout' quintet, alongside the likes of the pianist Viv McLean, on Easter Sunday, 27th March, in the Church of St Endelienta. The following weekend, Hannah is part of a two day 'mini tour' with the Zoffany Ensemble, who will be playing a programme of Schubert String Trio, Mendelssohn String Quintet and Brahms String Sextet. Their first concert is on Friday, 1st April, at St Giles’ Church, Medbourne, Leicestershire, with the second at 7.30 on Saturday, 2nd April at Kirkbymoorside Memorial Hall, N.Yorks. Next, Cara will be joining the pianist and musical Director Libby Burgess at the New Paths Music Festival, held in the beautiful Yorkshire town of Beverley. She will be joined there by other well-known chamber musicians and singers, including the violinist Jamie Campbell, Soprano Mary Bevan and Baritone Marcus Farnsworth. The event is spread across four days, from Thursday 7th April to Sunday 10th, with concerts taking place in venues across Beverley, including in its exquisite 13th-century Minster. The same weekend, Ben is off up to Scotland to take part in the Kinnordy Music Festival directed by the pianist Daniel Tong and cellist Robin Michael, where he will be joined by a small group of Chamber musicians to perform works by the likes of Brahms, Schumann and Debussy. The Festival will be held in the magnificent Kinnordy House, just north of Dundee. Finally, Hannah and Cara will be joining up, together with other musicians, for a special day put on by the charity Live Music Now, celebrating the life and Music of Yehudi Menuhin. The celebration will be at Kings Place on Sunday 17th April, with the concert itself taking place at 11:30 in the main hall. The 2016 Sacconi Festival programme is now finalised, and this year we have put together a programme using the many permutations of chamber music ensembles. Quartets feature heavily of course, but we also have duets, quintets, sextets, an octet and indeed a triple quartet! Not to mention chamber orchestra works and a concerto no less. Our big news is of course the World Premiere of a brand new work for tenor and string quartet by Jonathan Dove, commissioned by the Sacconis and tenor Mark Padmore. Jonathan Dove’s new work In Damascus is a cantata, setting words by the Syrian poet Ali Safar, who with piercing eloquence and deep humanity distills the harrowing experiences of daily life in a war-torn country. Mark and the Sacconis will be performing this major new work on the Friday evening concert at the Festival this year. Other Festival guests include guitarist Morgan Szymanski, and Charles Owen who returns to perform Jonathan Dove’s Piano Quintet. Plus we have a rare treat for you with our Viola Invasion! Ten violists, including Roger Chase, Yuko Inoue, Garfield Jackson, Douglas Paterson, Andriy Viytovych and of course our very own Robin Ashwell will perform an English programme of works dedicated to the great violist Lionel Tertis. UPDATE: The Box Office is now open! Full details can be found at the Quarterhouse website. This January, Ben will be playing in the Wye Valley Chamber Music January Festival, where he will be joined by many other well known musicians. The Festival was established in 2000 to bring world-class chamber music to beautiful and intimate venues up and down the Wye Valley, and continues to attract musicians of the highest calibre. The Festival runs over a full week, from Saturday 9th to Sunday 17th January at venues across the Wye Valley. Full details can be found at the Festival website. There will also be a preview concert in London on Thursday 7th January - full details can be found here. After their debut at The Sacconi Festival last May, Hannah, Pierre and John Paul Ekins (piano), will take to the stage at Conway Hall to perform Tchaikovsky’s Piano Trio in A minor. This concert is followed by an informal Q&A which will be conducted by Kimon Daltas, editor of Classical Music magazine. Rhinegold LIVE is a concert series which aims to offer a unique and informal take on the classical recital experience. Concerts are free to attend and include a free glass of wine beforehand. Full details of this performance, as well as other concerts in the series, can be found at the Rhinegold LIVE site. The Sacconi's latest newsletter is now out, full of details about what they're doing this Autumn, as well as looking back over their busy Summer. First up is their next concert, which is in London, at Eaton Square on Thursday 8th October. There is also news of their upcoming week of concerts in Ischia as part of the Kirker Holidays Ischia Music Festival, as well as their other Autumn concerts back in the UK. The newsletter also includes a personal perspective from Hannah of their two major Summer projects: 'Heartfelt' and 'Beethoven in the dark', both of which attracted very favourable reviews (see below). It also includes a piece on what Cara has spent her Summer doing! This autumn, Cara will be performing in a mini tour, as part of the 'Concerts in the West' initiative, which aims to bring a broad spectrum of classical and baroque music to audiences in the West of England. She will be playing alongside other top-class musicians as part of Ensemble Perpetuo, an ensemble which comprises, along with Cara; James Turnbull (oboe), Fenella Humphreys (violin) and Andrew Berridge (viola, and Cara's brother!). Full details of the overall tour can be found at the Concerts in the West website. Do come along if you can, and welcome Cara back! The Sacconis have been on their travels again, performing in not one but two ground-breaking concerts as part of the ever-innovative Bristol Proms. First up was 'Beethoven in the dark', a performance of Beethoven's iconic Op. 131 quartet, played, entirely from memory, in almost complete darkness. This was a profound and deeply moving piece, with the near-darkness of the theatre allowing a closer connection with Beethoven's world. Next came another outing for the Quartet's 'Heartfelt', where robotic hearts provide the audience with another intimate connection with the quartet and Beethoven's music, and which has proved to be justifiably popular at both Spitalfields and Lichfield Festivals. Both performances have attracted considerable attention in the press, with a 4-star review in the Independent describing 'Heartfelt' as "a powerful way to experience the visceral physicality of Beethoven’s profound thanksgiving". The performance was also picked up by the BBC 'Points West' programme, who filmed a short piece of the quartet in rehearsal. Elsewhere, they featured in Bristol247's preview of the Bristol Proms, as well as picking up excellent reviews for 'Beethoven in the dark', which was variously described as "breathtakingly good and deserving of the prolonged applause" (guide2bristol) and "the performance acquired an ethereal dimension, taking us by free association into Beethoven’s black world of deafness. These were transcendent moments" (slippeddisc). Other coverage also featured a Proms summary from Classic FM, an interview with Robin by the Bristol Old Vic and a positive review on Bristol24/7. "The finest I have ever heard"
The Sacconis have been in the news again, attracting considerable praise for their Scandinavian concert at the Purcell Room from one particular member of the audience; no less than the President of the British Sibelius Society, Edward Clark. He opens his review with "This performance by the Sacconi Quartet of Sibelius's 'Voces intimae' was the finest I have ever heard"; high praise for the performance that sets the tone for the rest of this thoughtful and comprehensive review. He pays particular attention to the Sacconis' performance of Sibelius's great work, 'Voces Intimae', enthusing that "this was a truly magisterial, full-blooded and deeply thoughtful view (of) a masterpiece" and how the chords over which Sibelius wrote 'Voces intimae', were played with "spellbinding delicacy". He concludes the review by saying "near-perfection was achieved". The Sacconis' recent Residency at the Lichfield Festival has attracted critical acclaim from several sources, and has received rave reviews in several newspapers, including national recognition in both the Guardian and the Observer. 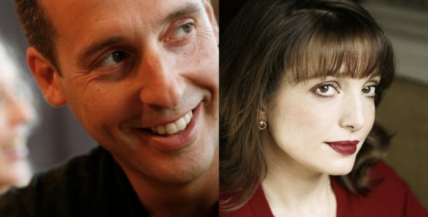 The first came from Richard Bratby of the Birmingham Post, whose review of 'The Juliet Letters' with Jon Boden enthused that the performance “...requires neither Costello nor the Brodskys in order to make a powerful impact” and that “ this music speak(s) more directly – more passionately – than ever”. He concludes the piece by acclaiming it as “..chamber music of a high order”. More praise came from Stephen Pritchard, writing in both the Guardian and Observer over the weekend, whose review of the Sacconis' Scandinavian concert received a glowing 4 star review. He praised their “tremendous control” and enthused about “the particularly fine playing from second violinist Hannah Dawson”. The Sacconis have garnered considerable attention for 'Heartfelt', their latest innovative collaboration, premiered as part of the Spitalfields music festival. In particular, the performance was picked up by Tom Service, who featured it both on his recent BBC R3 'Music Matters' programme and on his Guardian blog. As has been advertised here previously, the performance set out to privide an extra dimension to the already profound experience of Beethoven's Op. 132, through interactive lighting and an interactive heart rate monitor. The monitor, a beautifully crafted combination of wood and advanced electronics and described as a 'chestahedron', gave a continuous link to the heart rate of one of the Sacconis, beating in time with the players heart. Surprisingly perhaps, the heart rates don't follow the tempo of the music. As Hannah says during 'Music Matters', 'It is also maybe simplistic to imagine that always when we're playing slow music that out hearts are going to be correlating in a slow fashion. I think the central movement is a moment of repose, a moment of calm; but also a moment where maybe life and death make sense as well, and so it's maybe the most heightened bit emotionally'. For those of you who were unable to attend, the Sacconis will be touring with 'Heartfelt'; performing it over the summer as part of the Lichfield Festival and the Bristol Proms. The Sacconis eagerly awaited appearance on Radio 3's 'In Tune' programme can now be found on BBC iPlayer with the quartet playing excerpts from Dove: Out of Time - quartet for strings at 5 and 55 minutes, as well as Beethoven Op. 132 at 14 minutes and Sibelius: Op.56 (Voces intimae) at 48 minutes. The programme will be available on BBC iPlayer for a further 28 days. As an added bonus, the Sacconis performance of the first movement of Jonathan Dove's 'Out of time' has been selected for BBC Radio 3's 'Performing Miracles', which is described as 'the Best of Radio 3 – a top performance from the latest broadcasts' and is now one of a select group chosen for this showcase. A link to the excerpt can be found here, and again is available for a further 28 days. This Tuesday, 12th May, the Sacconis are appearing with Sean Rafferty on BBC Radio 3's 'In Tune' programme from 4:30pm, where they will be playing excerpts from Dove, Sibelius and Beethoven. 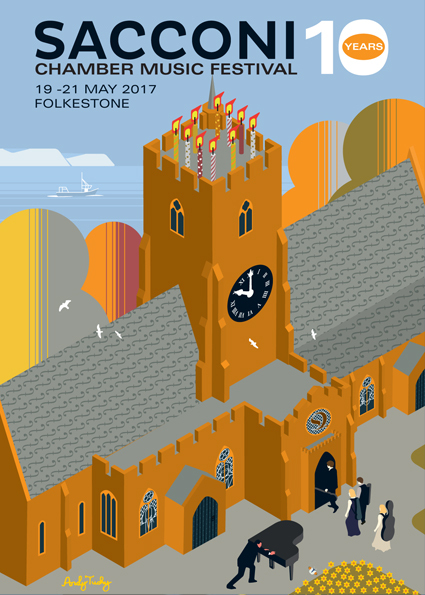 Also on the programme, they will be looking forward to the upcoming Sacconi Festival in Folkestone, starting this Friday, 15th May. Do come along, if you can! We would like to invite you to come and experience the testing phase of HEARTFELT, an immersive, interactive performance that re-imagines a Beethoven quartet through robotics and audience responsive lighting design. Together with robotic designers, Rusty Squid and interactive lighting designer, Ziggy Jacobs-Wyburn, the Sacconi Quartet are creating a project in which the audience will be able to experience a performance of Beethoven’s String Quartet in A minor Op.132, that moves beyond the realms of sight and sound. We are carrying out a series of audience tests as part of the development process and would like to invite you to preview this work and provide feedback. The audience testing will be taking place near Brick Lane in East London on Friday 1st May during the morning from 11am until 12:30pm and again in the afternoon from 2:30pm until 4pm. If you would like to be part of this please RSVP to Emilie Giles by Tuesday 28th April at e.j.giles@gmail.com and she will assign you a slot. This July, the Sacconis are taking part in another unusual and innovative event, as part of a new play about Shostakovich at The Sheldonian Theatre in Oxford. The play is followed by a performance by the Sacconis and pianist Colin Stone of Shostakovich's Piano Quintet, performed as though on the 25 June 1958. Full details can be found here, and details of the Sacconi performance are on the Diary page. On Thursday 14th May, Hannah, along with Pierre Doumenge and John Paul Ekins, will be performing a run-through of Tchaikovsky and Haydn , ahead of the Sacconi Music Festival at Folkestone. The recital will be at the home of Sir Vernon Ellis, the Founder Patron of the Sacconi Trust, at Queens Gate Terrace, South Kensington. The Sacconi's latest Newsletter is now out, covering all the exciting news about the Quartet and their many different projects. There are details on the Sacconi's own Festival, in May down in Folkestone, as well as details of the many other Festivals around the country that the quartet will be performing in over the summer. There are also details of two new projects that the Quartet will be premiering over the summer as part of the Spitalfields Festival and the Bristol Proms. Both feature the quartet in innovative settings, and both promise to deliver a new and unique sensory experience for the audience. Finally, there is some exciting news about one of the Quartet, but you'll have to read the Newsletter to find out. If you haven't already done so, why not sign up to be on our mailing list here. What does it feel like to be a musician? As part of the Spitalfields Music Festival, the Sacconi Quartet takes Beethoven’s iconic String Quartet in A minor op. 132 and put their own feelings, quite literally, in the hands of the audience. Through a combination of cutting-edge technology providing a real-time connection to the performers’ heartbeats, and quick-response, immersive lighting, the audience will experience the music through a multitude of senses; sight, sound and touch. Join the Sacconis in this cutting-edge experience, where the senses become fused and the boundaries between performers and audience are blurred to hitherto unknown levels. On Tuesday 24th February, at 8pm, Cara will be joined by Libby Burgess (piano) and Jamie Campbell (principal 2nd violin with the Aurora Orchestra) for a recital at Dunsfold Music Circle, near Godalming. The programme will include piano trios by Beethoven and Ravel. Further details can be obtained from Dunsfold Music Circle. This Wednesday, 28th January, the Sacconis will be performing live at the Fundacion Juan March in Madrid, in a concert that forms part of a series titled 'the Anti-Modernists', a term coined to describe composers who elected to bring the past up to date as a formula for modernity, rather than flatly rejecting it. Four of these 'Anti-Modernist' composers feature in the concert; Stravinsky, Sibelius, Bridge and Britten, and the whole concert is being broadcast live on RTE Radio Clasica at 19:30 CET (18:30 GMT). If you couldn't listen to the live broadcast, the concert has been recorded and is available online. The concert can be found here on the Radio Clasica archive and the Sacconis appear from 32 minutes in to the recording. The official website of the European Commission Representation in the United Kingdom features a piece (see here) by Charles Kerry on this year's 150th anniversary of the Nordic composer Carl Nielsen, titled 'Nielsen’s 150th: an anniversary which we need', in which he makes a compelling case for the importance of this anniversary, and the significance of Nielsen's music in general. He highlights the coverage Nielsen's symphonies are receiving, but bemoans the fact that his string quartets are receiving far less attention, with the notable exception of the Sacconi Quartet. He notes that the Sacconis are, at present, the only quartet listed as performing one of Nielsen's quartets this year (at Blackheath, Nottingham and Sheffield - see the Diary page for details). In the most recent edition of BBC R3's 'Building a Library', Robert Philip compared recordings of Dvorak's much-loved String Quartet known as the American Quartet, and makes a personal recommendations as to his top choices. The Sacconi's recording was chosen as one of the top performances, attracting particular praise for their rendition of the second movement, 'Lento'. He notes that 'they have the concentration to sustain the whole movement' and that 'their ending is as beautiful as any'. When he comes to his final selection, he admits 'if I have to choose a winner, I'm really just choosing one among equals'. The full programme can be found on BBC iPlayer until 8th February. Sacconi Festival 2015 Programme Launched! We are delighted to have in residence the renowned pianist Charles Owen, who will be performing with the Sacconis throughout the Festival weekend. We also welcome double bass player and BBC presenter Chi-chi Nwanoku, exciting young pianist John Paul Ekins and multi-award winning folk musician Jon Boden as our special guest artists. Programme highlights include Dvorak String Quintet, Mendelssohn Octet, Tchaikovsky Piano Trio, Bach Piano Concerto in D minor and Beethoven Quartet Op.131. For full programme details please go to the Festival page. The Box Office will open early in the New Year, so watch this space! Next January, Ben will be joining other eminent musicians at the Wye Valley Music Festival. The Festival was established back in 2000 to bring world-class chamber music to beautiful and intimate venues up and down the Wye Valley. It has attracted world-class musicians from the outset and is now an important year-round cultural presence in the Wye Valley. Ben will be playing two concerts over the weekend of 17/18th January 2015; Korngold's String Quartet No.3 and Piano Quintet in E major. Full details can be found at the Wye Valley Chamber Music website. The Sacconis have picked up yet another fantastic review, this time for their Ripon concert from Tim Robinson and published in the Ripon Gazette. All three pieces receive high praise, starting with Haydn String Quartet Op. 20, No. 5, where the Quartet 'make us want to get up and dance with their extraordinary internal rhythm', before continuing on to the Janáček String Quartet No. 1, described as 'electrifying, exhausting and exhilarating'. His highest praise is reserved for the Sacconis' performance of Beethoven String Quartet Op. 132, in particular for the third movement, where words almost fail him; he enthuses 'I hesitate to describe the third movement. Words just will not do. Go and listen to it. Find it on You Tube! Buy the Sacconi’s recording which they about to make. Then go and listen to it live. You must listen to it live. It will change you'. 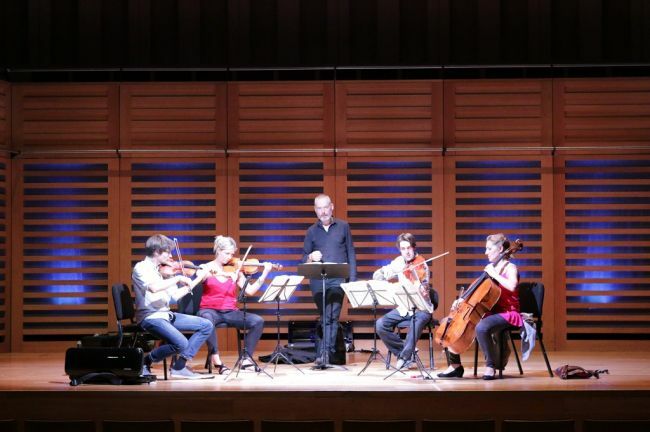 The Sacconi's recent start of season concert for the London Chamber Music Society has picked up a glowing review on Musicweb International. The piece, by Claire Seymour, begins by describing it as 'an impressively mature and focused performance', before going on to highlight the individual contributions from each of the Sacconis. The Beethoven Op. 132 merits special praise, being described as 'an astonishingly assured and mature reading...' and 'the consistency of shared vision and musical voice was still remarkable, and suggested a deep, shared penetration of the work’s musical and philosophical arguments'. Just a quick reminder that the Sacconis perform this Friday, 10th October, at St Martin in the Fields, where Ben will be Musical Director for an evening of Vivaldi and Bach concertos. Baroque concertos from Ben and Hannah (Vivaldi) and Robin (Brandenburg 6 with Philip Dukes), plus the CPE Bach cello concerto performed by Guy Johnston and Bach's Brandenburg 3; all with Cara playing too. Don't miss this opportunity to hear the Sacconis performing solo in the beautiful setting of St Martin in the Fields, and all played by candlelight. Full details can be found at the St Martin in the Fields website. This October, on Friday 3rd, Cara (and cello) will be performing a lunchtime concert at St Barnabas church, Ealing. She will be joined by Fenella Humphreys on violin and Daniel Lowenberg on piano. They will be playing Beethoven: Piano trio in G major Op 1 no 2 and Brahms: Piano trio in C minor Op 101. This free concert will start at 1pm and last approximately 45 minutes. Full details can be found at the St Barnabas Church website. Just a quick reminder about Hannah's upcoming appearances on the International Musicians Seminar Autumn Tour, where she is playing Mendelssohn string quintet in B flat with Pekka Kuusisto, Rachel Roberts, Caroline Henbest and David Waterman. Her hectic schedule starts on Sunday 28th September at the Hall for Cornwall in Truro followed by Monday at St George's Bristol, Tuesday at West Road Concert Hall in Cambridge, Wednesday at Champs Hill, West Sussex and finishing up at Wigmore Hall on Thursday. Full details can be found at the IMS website. Do come along to one! In anticipation of their upcoming Autumn season, the Sacconi's latest newsletter is now available. Inside, it covers what they've been up to over the past few months, as well as looking forward to the new season. The link to the Newsletter can be found here. Looking back, it features a personal perspective by Hannah on their performance of Beethoven's Op 132 at the Bristol Proms, which used innovative staging and video to give an immersive experience for both the audience and the quartet. Hannah can be found explaining it all as part of a video interview for Classic FM. It also includes the glowing reviews for the Mendelssohn disc set from Champs Hill records, which includes the Sacconis preforming the Op.13 quartet in A minor. Looking forward, there are details of the first concerts of the new season, as well as the exciting news that the Quartet have been invited back to the beautiful island of Ischia for another Kirker Music Holiday, October 2015. Definitely a date for your diaries, along with the Christmas Party, which this year is on Thursday 11th December. This October, Ben will be Musical Director for an evening of Vivaldi and Bach concertos at St Martin in the Fields, where he will performing with the Locrian Ensemble and the cellist Guy Johnson. The performance will be on Friday 10th October, and full details can be found at the St Martin in the Fields website. As an added bonus, Ben will be joined for the Vivaldi – Concerto for Two Violins by Hannah! The Champs Hill Mendelssohn Quartets four disk set, which features the Sacconis playing Mendelssohn's String Quartet No.2 in A minor Op.13, is BBC Music Magazine's Chamber disc of the month / Critic's Choice in their September issue, receiving a double 5* review for both the performances and the recording. The enthusiastic and positive review, by Roger Nichols, opens with his observation that it is "... a true delight to me to find ten groups of young string players who take the composer's notes seriously..." and concludes with him saying "Overall, I can only applaud the musicianship of these excellently recorded performances which give us Mendelssohn in his infinite variety". The Sacconis recent performance of Beethoven's intense and complex Op. 132 as part of the 2104 Bristol Proms was an ambitious attempt to bring this life-changing piece to a wider audience through the innovative use of multiple, simultaneous camera projections of the four Sacconis, coupled with roving cameras to capture the finest details of the performance. At the centre of the performance was the third movement, performed in almost total darkness; played from memory by the Quartet. This performance has received considerable coverage on Classic FM, including a wide-ranging interview with Hannah, in which she explains how they hoped the additional visual elements would make this complex piece more immediately comprehensible to a wider audience. The Classic FM coverage also includes pictures from the evening, and the performance is given a 4 star review in the Bristol Post. The Sacconis have received a glowing review in this month's Gramophone magazine for their performance of Mendelssohn's String Quartet No.2 in A Minor Op.13 on the recent release of 'Mendelssohn Complete Works for String Quartet' on Champs Hill Records. The Quartet were described as 'elegant and understated' in a glowing review of the 4-disc set. A fuller extract of the review, along with details of where to get the set can be found in the Recordings section. This Autumn Hannah is one of a select group of musicians, all specially invited by the IMS Artistic Director Steven Isserlis, who will be taking part in the IMS national tour with the aim of bringing the work done at IMS at Prussia Cove to a wider audience. This hand-picked group of talented musicians also includes Pekka Kuusisto, who was such a hit at this year's Sacconi Festival. Full details can be found at the IMS website. The award-winning Sacconi Quartet, associate artists at Bristol Old Vic, follow up their exquisite interpretation of Schubert's Quintet in C (Bristol Proms 2013) and their unforgettable semi-staged Beethoven 131 (Bristol Jam 2010), with the magnificent Beethoven's great Quartet opus 132. In collaboration with Judith Aston and her colleagues from the UWE Filmmaking department, the performance will experiment with cameras, multiple projections and vj-ing to explore how a cinematic environment can be created to help evoke the imagination and emotion that comes with the music. You should expect a traditional recital performed in a non-traditional setting, creating respectful new ways in to the sublime beauty of Beethoven’s late work. 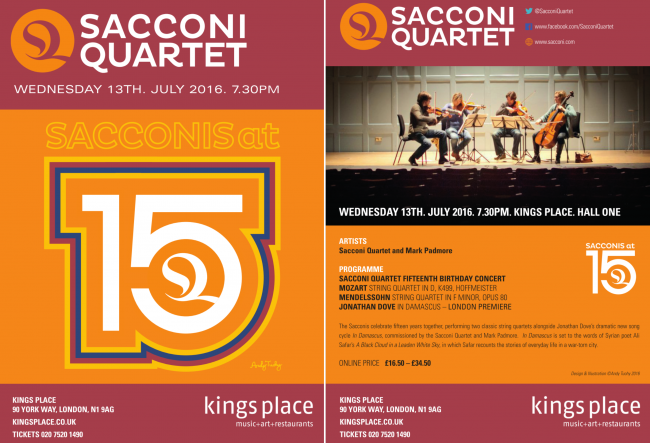 This Thursday, 12th June, 7.30pm, the Sacconis perform with pianist Simon-Crawford-Phillips at Kings Place as part of its on-going 'Chamber Classics Unwrapped’ series, a project by Kings Place, with BBC Music Magazine, to find the Top 50 most loved pieces of chamber music. The Sacconis present two of Dvořák’s most popular chamber works, along with the short, but deeply moving ‘Meditation on an Old Czech Hymn' by his student, Joseph Suk. Dvořák’s American quartet, at no.9 in the Top 50, was composed whilst in rural America, and evokes scenes of the New World with music inspired by the surrounding nature, African American spirituals and, as the composer himself observed, differs very much from his earlier works. His Piano Quintet No.2 (no.28 in the Top 50) is a tantalising mixture of Dvořák’s own personal lyricism and rhythmic intensity, coupled with elements from Czech folk music. Written at the height of his powers, it is one of his happiest creations; radiating warmth and exuberance. Full details of this exciting concert can be found at the Kings Place website. The Sacconis feature on a new release of the complete works of Felix and Fanny Mendelssohn, which sets out to challenge preconceptions about the Mendelssohns, as being composers of 'safe' repertoire. This a four disk set sets aims to be a complete and comprehensive survey of the Mendelssohns' work, including their less well-known compositions. Full details of the recording, and of the Sacconis' part in it, performing Mendelssohn's String Quartet No.2 in A Minor Op.13, can be found at the Champs Hill website. Hannah will be performing in Music for Liberia’s annual fundraising concert on Saturday 14 June. Music for Liberia is working with Street Child to support education projects in Liberia. The concert takes place at 7pm in St.Gabriel's Church, Pimlico SW1V 2AD; see Music For Liberia's website for details. All proceeds will be matched by the UK Government, so do come along and contribute to this very good cause! This August, Robin is one of the lead performers at the Menter Rhosygilwen Second Summer Proms. These concerts take place in beautiful rural Pembrokeshire, near to the historic town of Cardigan. Menter Rhosygilwen promotes music, the arts and culture and they are passionate about live classical music by Welsh and international artists. The concerts takes place over three days, from Wednesday 27th through to Friday 29th August 2014; all at 7:00pm. Full details can be found here at the Festival website. This Monday at 4:30pm, the Sacconis are on BB Radio 3's 'In Tune' programme (see 'BBC In Tune'). They will be playing movements from Mozart E flat quartet k. 428 and Dvorak's 'American', so looking back to last weekend's Sacconi Festival in Folkestone, and forward to their upcoming concert at Kings Place on 12th June (see the Kings Place website). Catch them live on the day, or later on iPlayer. Better still, come along to Kings Place as well! The Sacconis have been busy preparing for their Festival (#Sacconi14) in Folkestone, but still managed to find the time for a marathon series of concerts over the weekend; three concerts and three different locations, all in the space of 24 hours! First up was Wallingford, with a diverse programme encompassing the beauty of Puccini, the edgy darkness of Janacek and the majesty of Schubert. Next up was Oxford with Ben and Cara performing Messiaen's 'Quartet for the End of Time', with the 24 hour odyssey finishing off triumphantly back in London at the RCM with Strauss' Metamorphosen. If you missed out on the excitement, then there is a second chance to experience the jealousy, rage and passion of Janacek, the spiritual beauty of Messiaen and the epic Schubert, along with repertoire spanning every emotion and character from Mozart, Debussy, Vivaldi and others; not to mention not one, but two World premieres! Come and join the Sacconis in Folkestone this weekend; the weather forecast is good and there is still time to buy tickets (https://www.quarterhouse.co.uk). Hannah is off to Southwell in Nottinghamshire this August, playing in the Southwell Music Festival, which runs from 22nd - 25th August. Full details can be found in the Festival brochure and the website. The Sacconis are gearing up for three exciting performances at Kings Place over the coming weeks; twice on 2nd May and the third on 12th June. First up, on Friday 2nd May, is an epic evening, featuring two ground-breaking collaborations as part of Matthew Sharp's RE:naissance festival. The Sacconi Quartet and Sharp start the evening with Rautavaara's ‘Les Cieux Inconnues’, and round the night off with the dazzling cabaret concerto 'Death's Cabaret - A Love Story' , by Stephen Deazley and Martin Riley, also with Sharp. Details of both concerts can be found here (Rautavaara) and here (Death's Cabaret). The Sacconi Quartet return to Kings Place on the 12th June as part of the Chamber Classics Unwrapped series, which features the nation's top 50 chamber works, as voted by the general public. The Sacconi Quartet will be performing a programme of Dvořák and Suk with pianist Simon Crawford-Phillips, with Dvořák's Piano Quintet ranking 28th and his 'American' Quartet ranking 9th. Details can be found here (Chamber Classics). Ben and Cara, along with Sarah Beaty (clarinet) and Alasdair Beatson (piano) will be performing Messiaen's 'Quartet for the End of Time' on two separate occasions prior to the Sacconi Festival; at Southwold on 10th May (see the Southwold website) and at Oxford on 18th May (see the Oxford Coffee Concerts website). The quartet, composed in a prisoner of war camp in Germany at the start of WW2, is one of the most haunting and powerful works ever written. Ben is playing with the London Bridge Ensemble tomorrow evening (Sat 12th April) in Sevenoaks. Programme: Bridge Phantasy Piano Quartet, Mozart Piano Quartet in E flat and Brahms Piano Quintet. Last day to get Early Bird Rover Ticket! Today (21st March) is the LAST DAY to get your Sacconi Festival Rover Ticket for the discounted price of £80 instead of £85, don't miss out!! Sacconi Festival Early Bird Offer extended! See the Sacconi Quartet in Bristol this week as they immerse themselves in the new Bristol Proms at the Bristol Old Vic. Associate Artists at the Bristol Old Vic, the Sacconi are performing concerts with celebrated musicians including singer Jon Boden and cellist Guy Johnston. They will also be taking part in a two-day digital 'hack', a unique technology-driven exploration of the chamber music world, the results of which will be explored on Friday at 1pm . Inspired by the hugely popular promenade concerts staged in the 1840s - which drew people from all corners - The Bristol Old Vic this week launch their own twist for 2013, the Bristol Proms, in collaboration with Universal Music Arts and Entertainment and The Watershed. On Friday 14th June at 1pm, BBC Radio 3 will broadcast part of the concert given by the Sacconi and Danish Quartets at the Bath International Music Festival in May. Tune in to BBC Radio 3 on Friday lunchtime to hear the Sacconi and Danish quartets play Strauss' Sextet from the opera Capriccio as well as the glorious Mendelssohn Octet. This was the first time these internationally celebrated groups had performed together; a very special collaboration. If you don't manage to catch the broadcast, it will be available to listen again - for more information, please visit the BBC Radio 3 website. The concert was performed at the Bath Assembly Rooms on 29th May 2013. The full programme of the concert, as well as the Strauss and Mendelssohn, also included the Octet by Norwegian composer Johan Svendsen. For more details on the concert, please visit the Bath Festival's website. The Sacconi Quartet gave a fantastic and well-received concert for the Huddersfield Music Society on Monday 8th April at 7:30pm, broadcast live for BBC Radio 3 Live in Concert. If you didn't manage to catch this moving performance on Monday evening, you can listen again for the next 5 days on the BBC Radio 3 website. Did you see the Sacconi Quartet on BBC 2 on Saturday 9th February? The Quartet were filmed as part of Howard Goodall's The Story of Music, a six part series on the history and growth of music. In this episode, entitled The Age of Elegance & Sensibility, composer Howard Goodall looks at the age of Haydn, Mozart, Beethoven, Schubert, Mendelssohn, Schumann, and Chopin. This was an era - from 1750 to 1850 - in which composers went from being the paid, liveried servants of princes and archbishops to working as freelancers, who, most of all, needed to appeal to a new, middle-class audience. Or starve. During the episode you can see the Sacconis playing a Beethoven's incredible and harrowing late work - String Quartet No.14, opus 131 (00:47:20) as well as a slightly more unusual arrangement of the song 'Rocking All Over The World' arranged for soprano and string quartet (00:09:30)! Sacconi Festival listed as one of 20 unmissable Britten events for 2013! This month's issue of BBC Music Magazine is a Centenary Celebration of Benjamin Britten, and the Sacconi Chamber Music Festival in Folkestone has been chosen as one of their '20 unmissable Britten events for 2013' (p.98-102). With the Sacconis being joined by guest artists like Mark Padmore (tenor), Richard watkins (horn) and Gary Matthewman (piano) and with programmes including Britten's Serenade for tenor, horn and strings and Vaughan Williams' Tallis Fantasia.....well we think it's unmissable too! The early-bird booking price on the Rover ticket, £70 instead of £75, is still available, but only until February 28th. So book yours now on 01303 858500 /www.quarterhouse.co.uk or visit www.sacconi.com/festival for more details. Listen to In Tune on BBC Radio 3 tomorrow afternoon to hear us being interviewed about the 2012 Sacconi Chamber Music Festival. The Sacconi Quartet will be playing with fantastic pianist Tom Poster and discussing the fifth Sacconi Festival, taking place in Folkestone THIS WEEKEND (18th-20th May)!